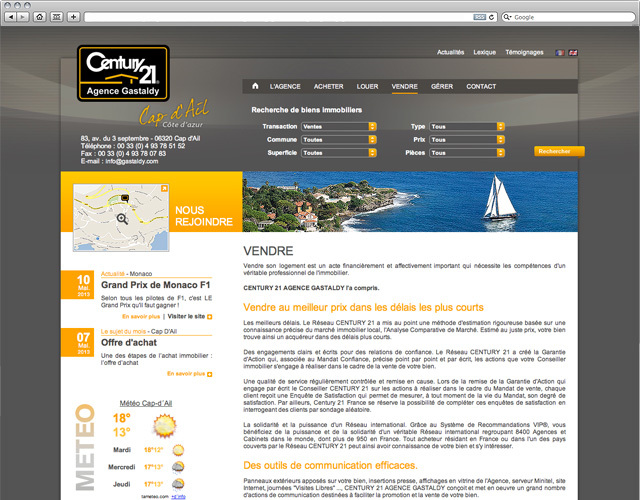 Real estate agency located in the heart of Cap d’Ail, Alpes-Maritimes. 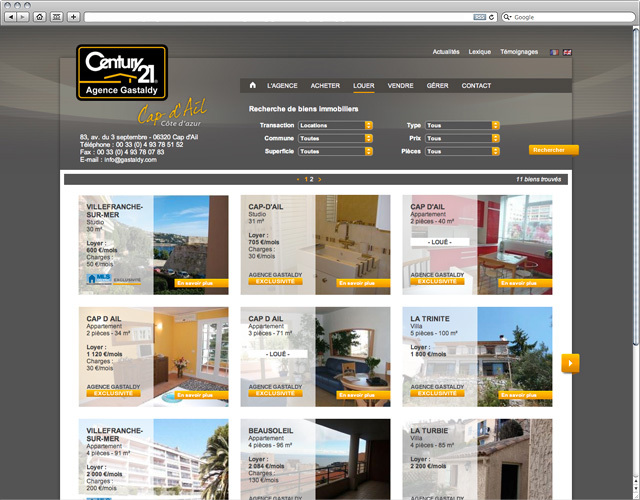 The goal of the website is to display the online agency’s properties. It allows the company to import its properties from several sources and display them through a dynamic icon system. 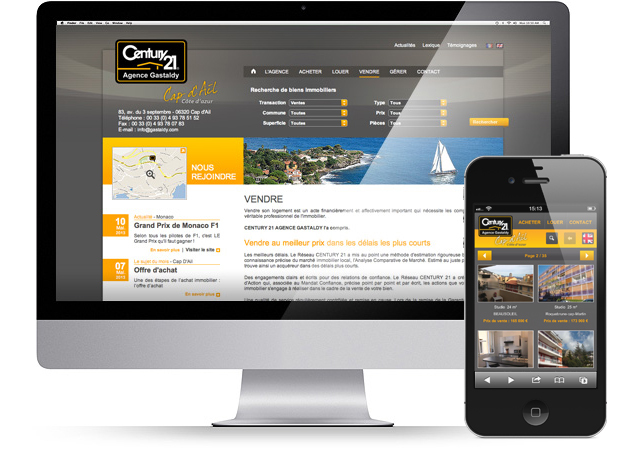 The website has been ported to a mobile version adapted to smartphones, the properties are available through QR codes generated directly by the content management system.